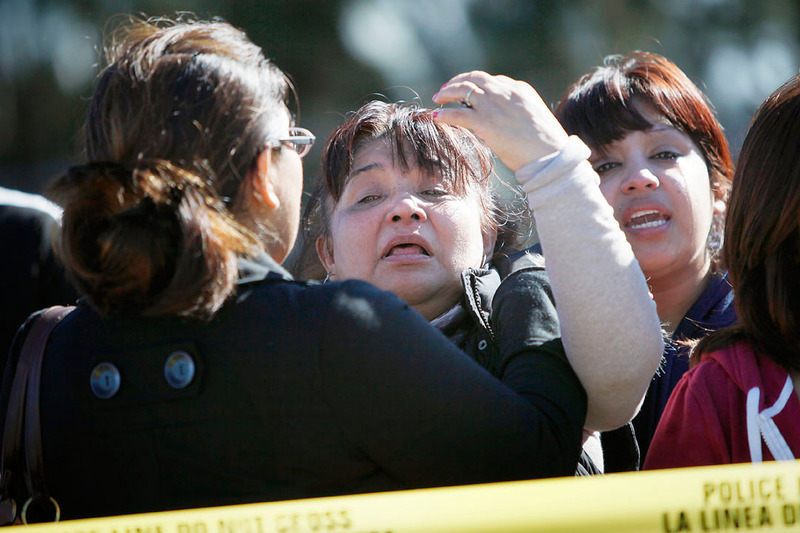 Rita Serrato, center, screams at officers after discovering that her son Rogelio Serrato died during a Monterey County Sheriff's SWAT operation January 4, 2011 in his home along San Antonio Drive in Greenfield. The sheriff was searching for the suspects of a shooting at the Mucky Duck bar in Monterey. While Rogelio Serrato was a registered gang member with connections to the Norteno criminal organization, he was not a suspect in the shooting.